It is the time to indulge into the joy of garba. Garba is a dance form that require energy. Enjoy these foods and enjoy garba. 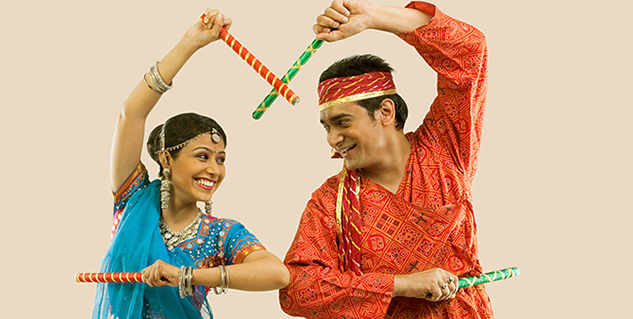 The festival of Navratri is here and so is the time to indulge into the joy of garba. Garba is basically a form dance, which was originated in Gujarat. Extremely influenced by ‘Dandiya raas’, garb is a dance that is filled with energy and power. You cannot expect yourself to stand a night of dandiya raas with no energy in your limbs and body. Might sound strange but to perform garba, you are ought to be in your fittest physical form. Now, the sort of food you eat plays an important role in your energy level. You need food that is not too high on fat and calories because it will make you feel fatigued. You need energy and you will have to be smart while choosing the right food to get energized for your garba night fun. Brown rice is high on manganese and it helps your body to produce energy from carbohydrates and protein and it can provide you with enough energy to dance garba all night long with high energy. Brown rice can be cooked in different styles. You can just steam it and have it with any main dish; you can have brown rice as a side dish, it can be your supply of lean proteins. Sweet potatoes are highly enriched in beta-carotene, Vitamin C and Vitamin A and they are any day the best choice to fight fatigue and lethargy. Because of its sweet taste, small children will happily include it in their meal and have a ­ garba dance without stopping. Sweet potato baked can be the healthiest choice for navratri. Just one spoon of honey can supply enough energy to fight off fatigue. Honey is naturally sweet and can help you replenish energy. A bowl of yogurt with a spoon of honey can provide you with a surge of energy, helping you dance with fun during navratri. With high supply of glucose, sucrose and fructose and, banana can be the most integral part of your diet during navratri. It can be just a snack and just enough to keep you going the entire night. Grab a fistful of almonds and keep on your garba fun all night long as a fistful of almond can supply the necessary amount of manganese, copper, protein and riboflavin. Eating almonds can provide you with enough energy that you require for your garba dance fun. Just one orange in evening snack along with any other food and you are offering your body the supply of folate and potassium, pectin and fibers to enjoy garba with full energy.